1. The LED.P curing light adopts the principle of ray radiation to solidify the light-sensitive resin by shooting at it in a short time. 2. This product is used to restore teeth and solidify material for whitening teeth. 3. 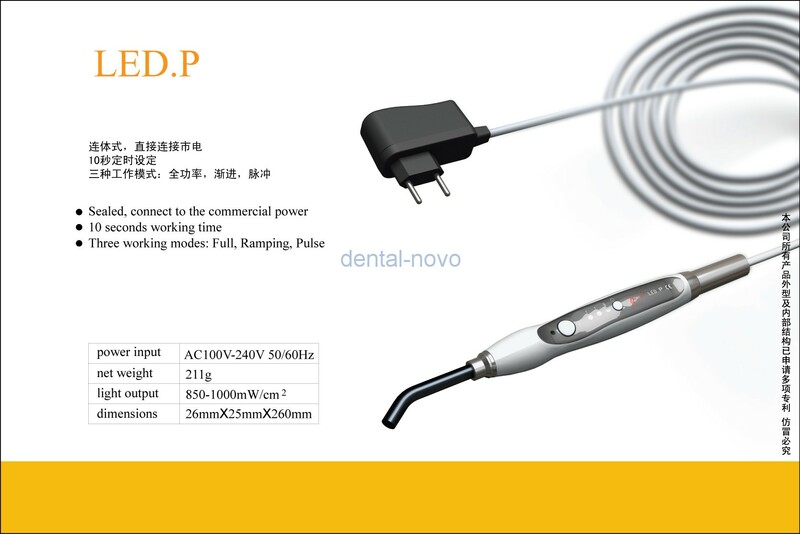 The LED.P is mainly composed of high power LED, optical fiber, mainly unit. 4. Sealed, connect directly to commercial power. 5. 10 seconds working time. 6. Three working modes: Full, Ramping, Pulse. 7. The optical fiber is autoclavable under the high temperature of 135 ℃ and the pressure of 0.22Mpa. 8. The light source adopts original American LED.